The Association Megalithic Routes is quite young, but has members in six countries. The group intends to make new routes along megalithic monuments and advertise these. Soon there will be no white spots on the map! February 26, the members of the association Megalithic Routes elected a new Chair and a new Treasurer. Both of them are partner in OpenArch. 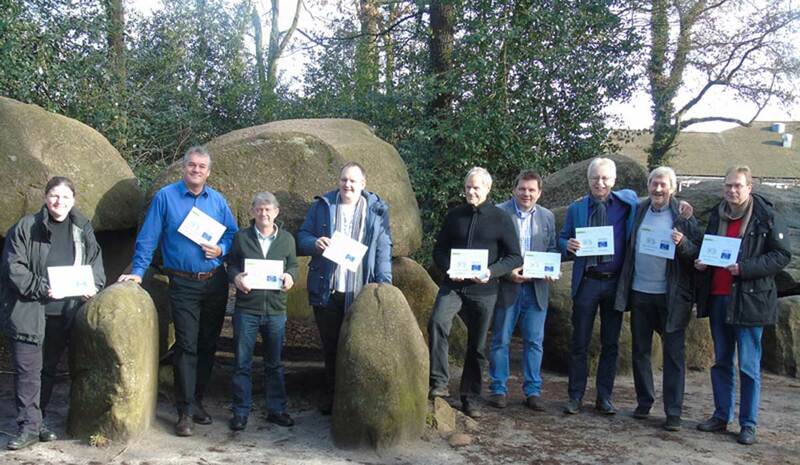 Hein Klompmaker, Director of the Hunebedcentrum in Borger (NL) was elected Chair, Dr. Rüdiger Kelm, Director of the Stone Age Park Dithmarschen was elected Treasurer. Their experience with OpenArch will be very useful, as the whole idea is to push the association Megalithic Routes forward, and possibly design an intensive cooperation between a number of their members. Early 2015 there were 15 members, the expectations are that by the end of the year this number will have doubled as new members from among others Spain, Portugal and Turkey will join.